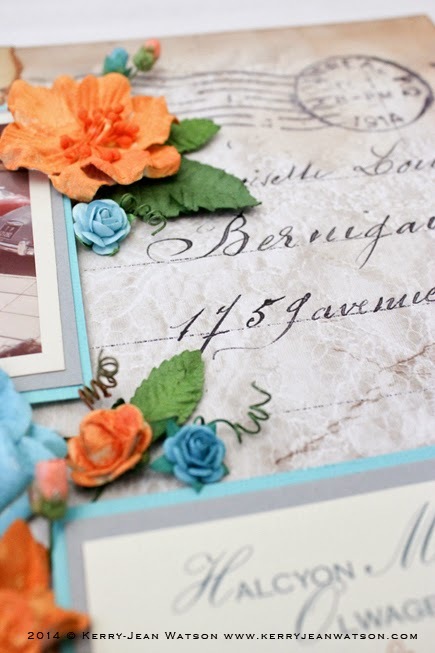 Two colors that go really well with the Correspondence collection is orange and a greeny sage colour. 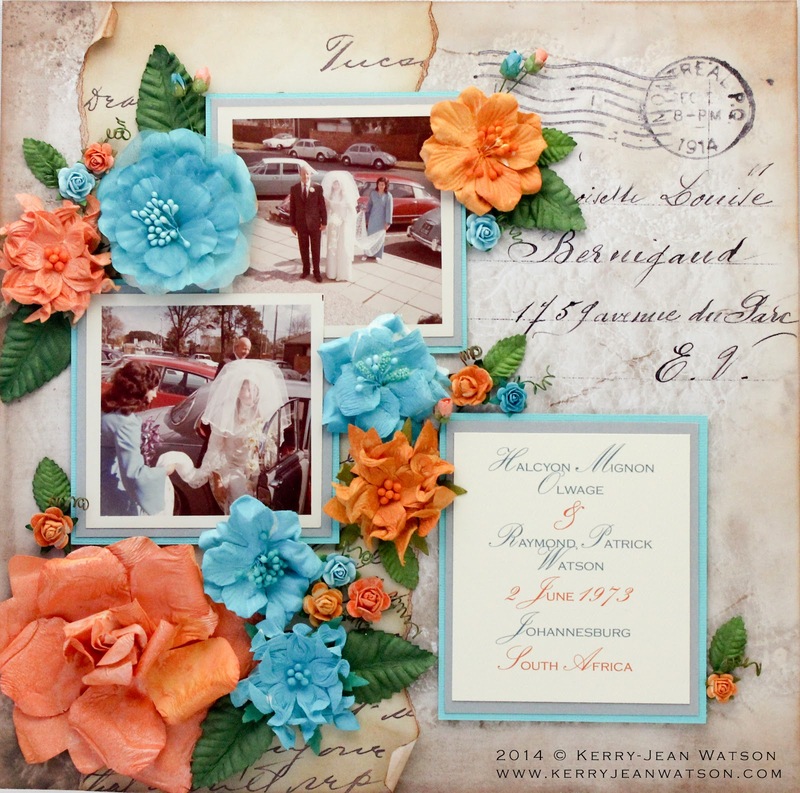 This was why I used the Latte Heirloom 4cm flowers for the card with the Ivory Heirloom 6.5cm flower with a few of the paper roses. 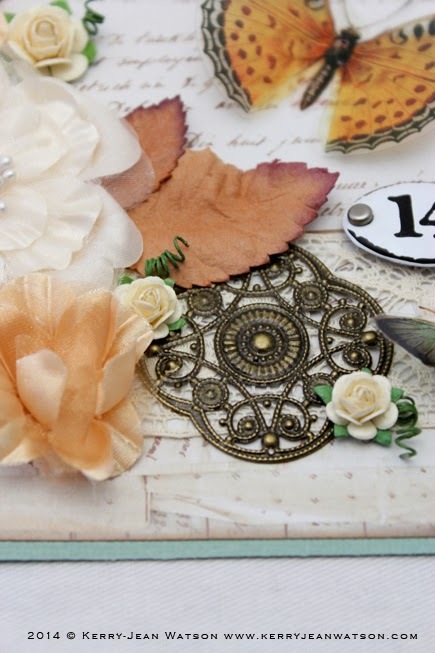 I loved the Cotton Lace but I wanted some thing to bring in some contrast which is why I use the Finnabair Vintage Trinket -Washer. 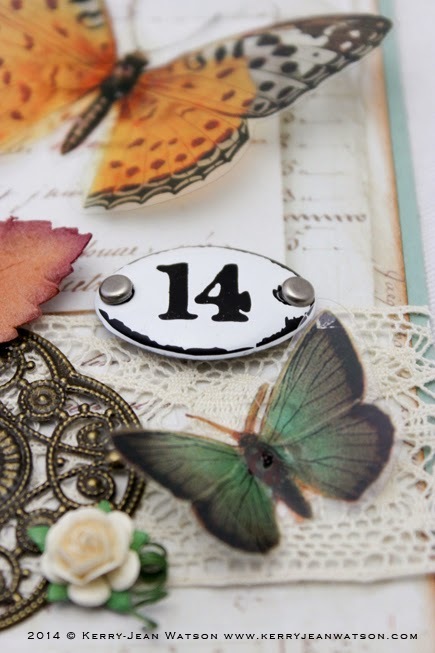 I love those Tim Holtz Plaquettes with the number on it. with has been foam taped to the card just for some dimension. 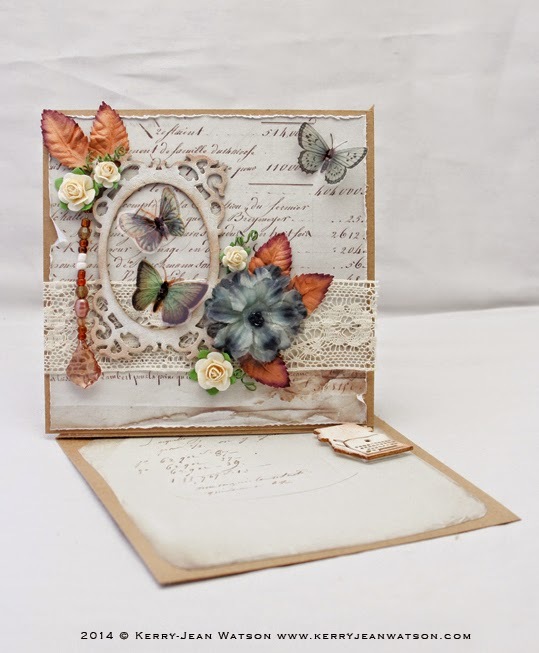 It's feminine, has flowers and lace, you need to have a couple butterflies (LOVE), the big one is from the Butterflies Tr015 sheet and the other is from the Tr004 sheet More New butterflies. 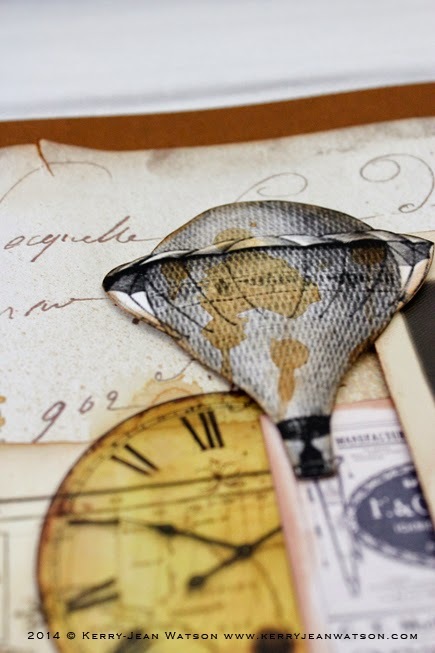 I wanted to play with my paper collection Correspondence but in a more masculine way. This is my Great Uncle who at a young age in the early 1900 travelled by ship from South Africa to New York. 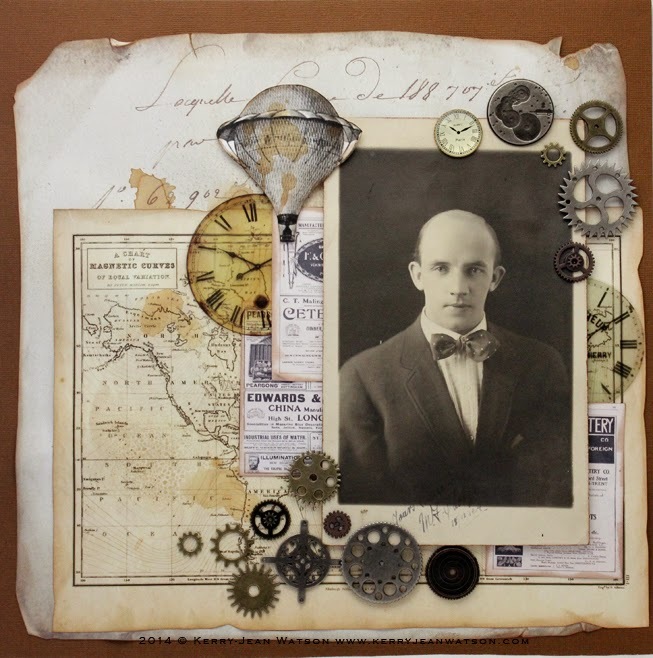 I was lucky enough to find information in genealogy archives about his movement around the USA. 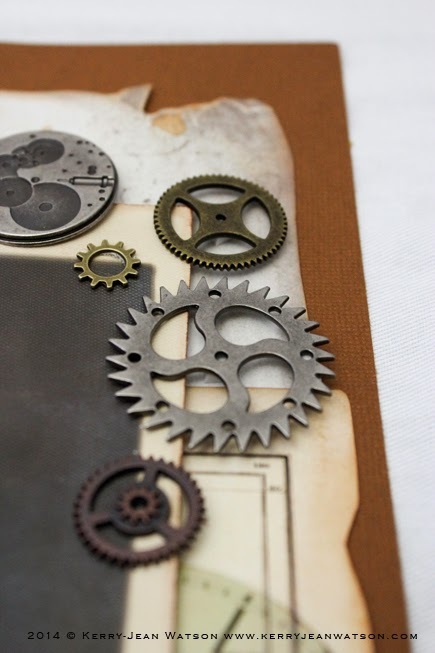 So in this layout I have used the awesome cogs and gears from Meg's Garden, along with some of Finnabair's trinkets from Prima which I LOVE. 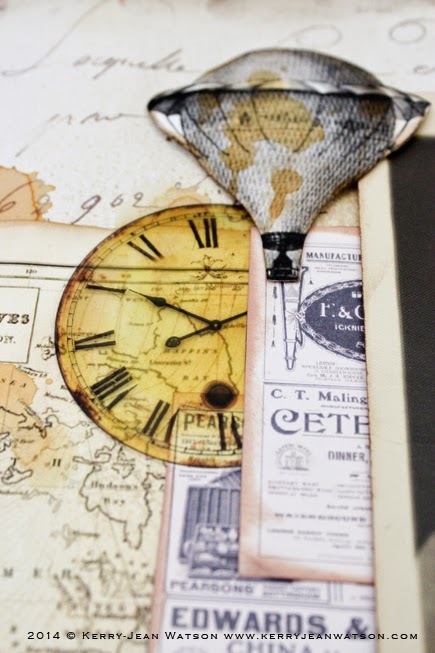 I added clock faces from Old World Time transparency and a hot air balloon , with a then a few Vintage Advertisements over a Vintage Map. I hope you like this project and please feel free to leave a comment or question. Some weeks back I posted a projected I had done using one of Marion Smith's project printables. 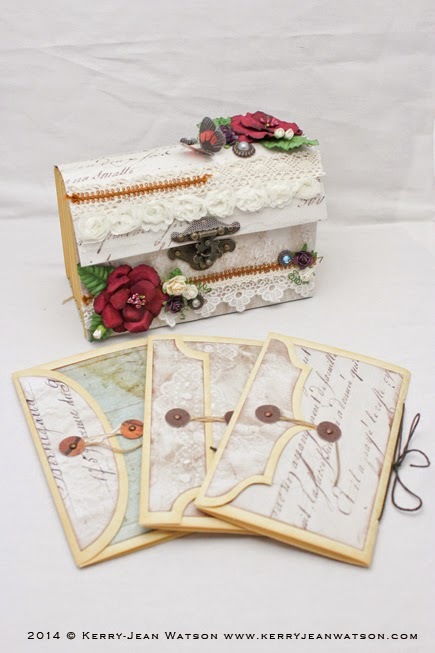 When my Correspondence Collection came out through Meg's Garden I wanted to do the project again with some of the 12 in papers. I wanted to make this one a little more elaborate than the first. 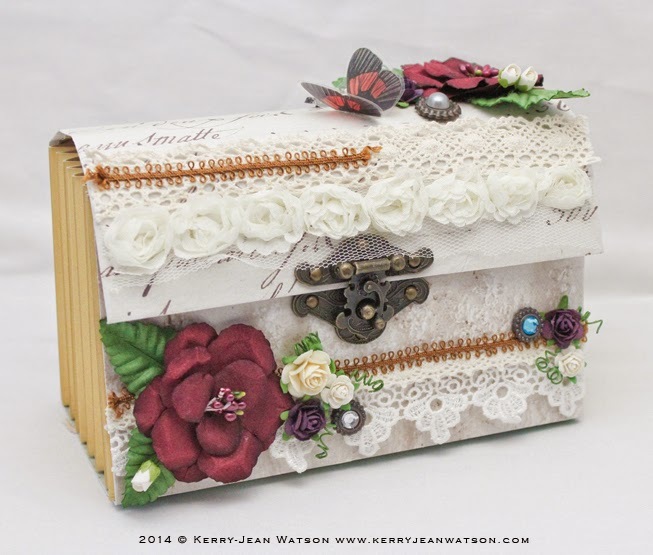 To achieve this I used some of the wonderful lace from the Meg's Garden store, as well as the Mini Rose Braid. 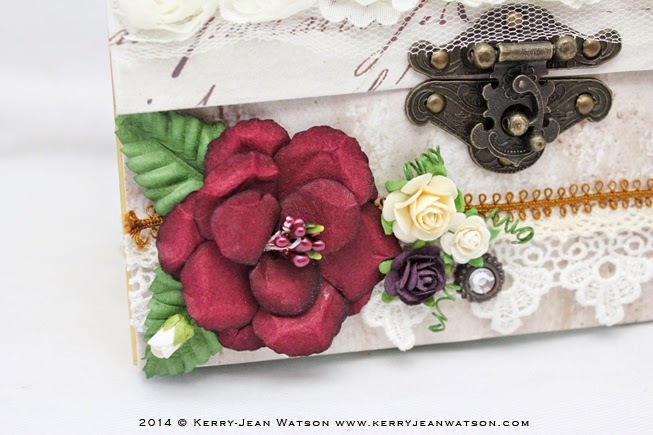 I love using the paper roses and big red paper flower with the small paper rosebuds. Those vibrant leaves just set the floral arrangement off nicely. 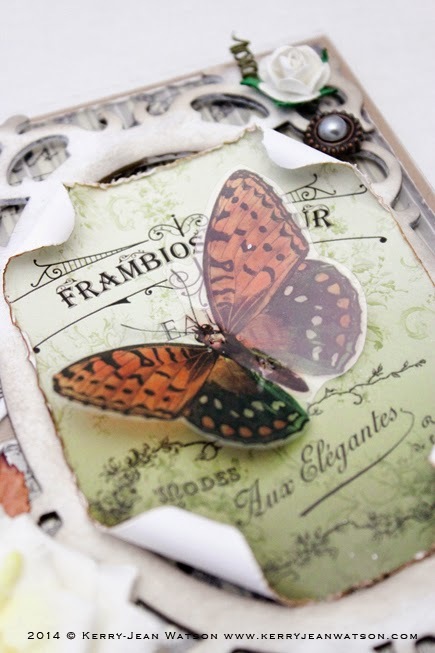 I added a few of the vintage brads and of course there needed to be a butterfly from the transparency sheets available at Meg's Garden. The latch also came from Meg's Garden and it was a tough choice considering the range. I had some time to kill one day and for once had no outstanding projects on my desk. As a result I assembled a card using what was within arms reach and in sight. 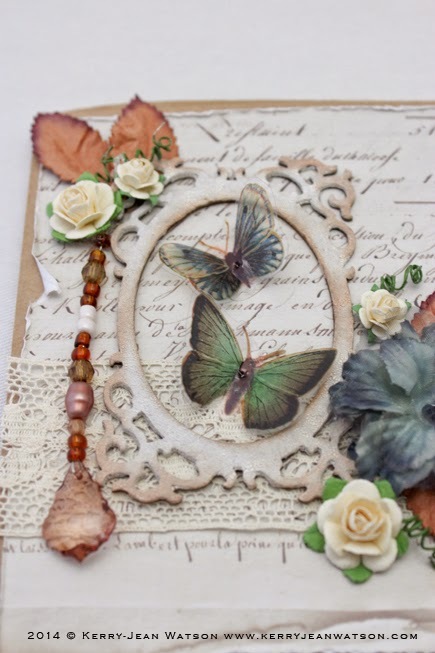 I found a butterflier from Meg's Gardens transparency collection under my craft mat and some brads and Paper roses lying around the desk. The laser cut frame was up on a shelf in front of me, which I painted and inked. The Meadow flower and leaves was on the same shelf. I had a couple sheets of Meg's Garden Damask Garden collection lying around as well. Now I just need to find someone to give it too. designed and owned by Debbi Tehrani. wonderful projects using the latest release papers. 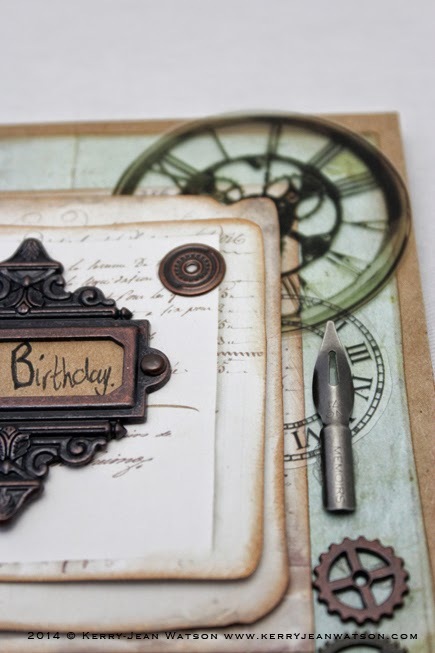 For the layout I used two 12 inch papers from the Correspondence collection as the base. My Evidence was Flowers and Leaves of course and though it would be another great opportunity to use the colouring flowers technique. 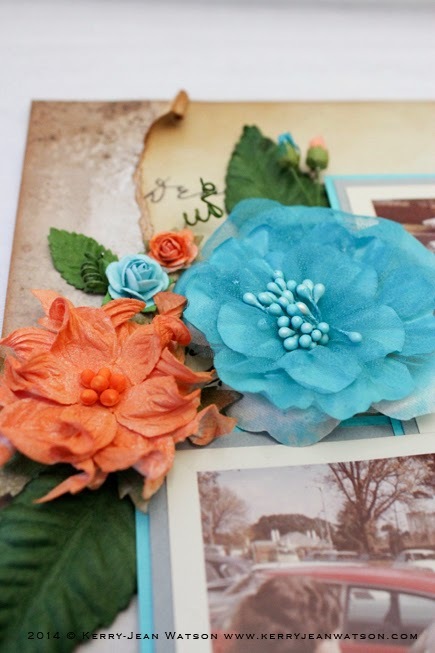 The paper roses, Azaleas, Gardenias, Meadow flowers, as well as the fabric Ivory Heirloom, were all coloured using the watered down acrylic paint in reusable spray bottles. 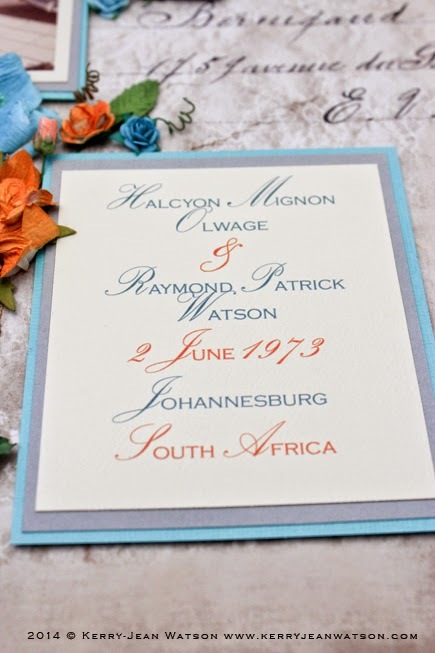 I am not the best at journaling so used the "Invite" option in the Testimony of the challenge, which lists the name of the bride and the bridegroom the date of the wedding and where it was held. I am very happy with the result too. 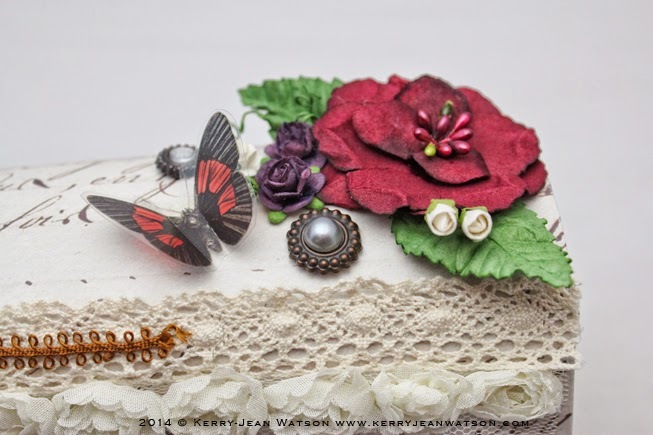 This is an exciting & unique collection from a new Designer - Kerry-Jean Watson. 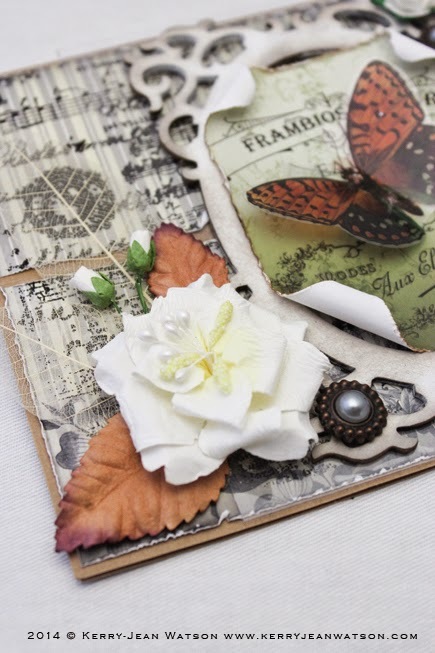 The Collection is made up of 6 papers 12x12” with a 4x12” strip; a cut & create ephemera sheet along with a mini pack of the 12x12” papers reduced to 145mm square – these are ideal for cardmakers. They lend themselves to so many papercraft styles. 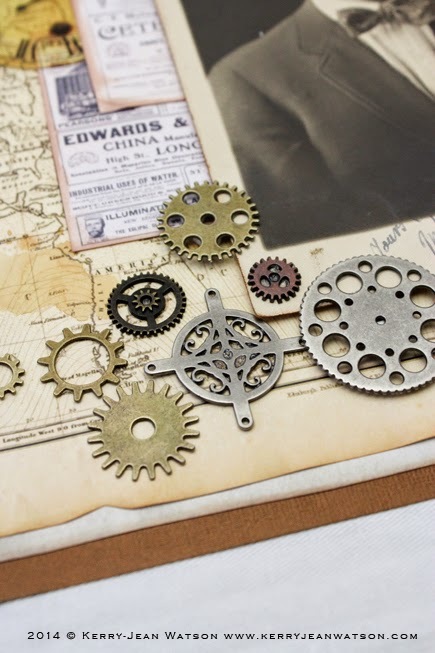 From shabby chic with laces, flowers & ribbons to steampunk with cogs & distressing. Not only that, they make fab backgrounds; you can tear & create strips as an addition to a project; perfect for heritage work. Take a closer look at the papers here at Meg's Garden Website. 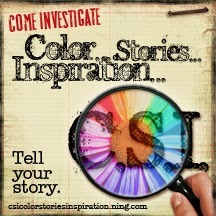 Take a look at the CSI site for many more wonderful inspirational layouts. on their own personal blogs. 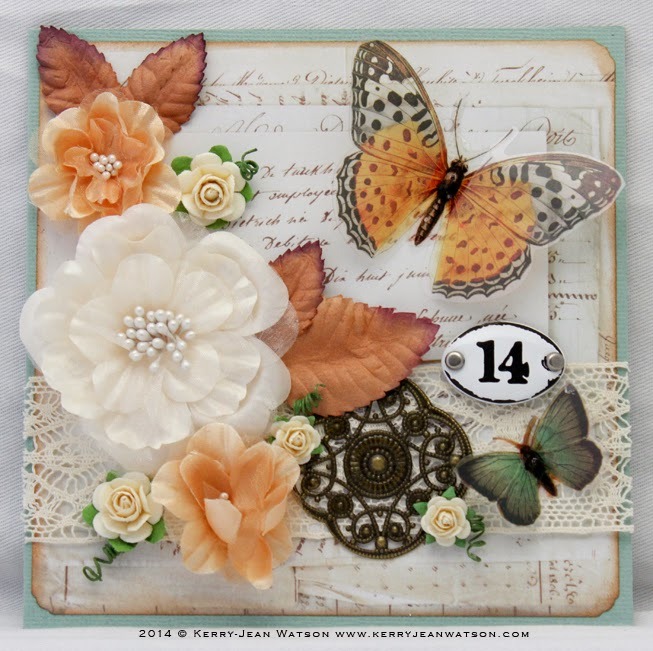 A twist easel card with that vintage cottage feel and butterflies to boot. What more could you ask for? I loved making this cards. I used crackle medium on the Mini Laser Cut Frame and then inked the edges for age it alittle. 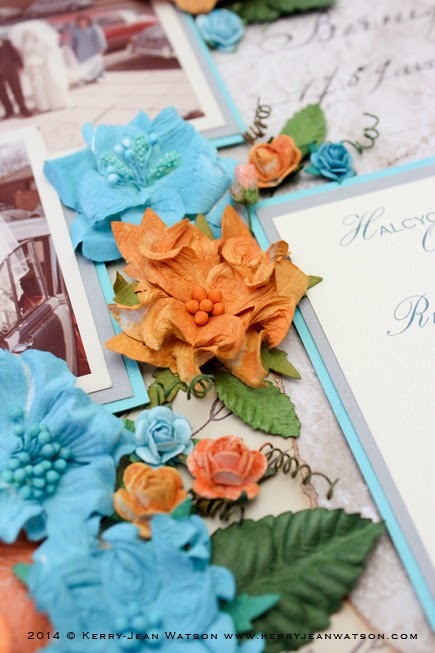 The flowers are the new Silk and Organza Primula and Paper roses, the leaves are the gorgeous Copper leaves-small. Again I used the Cotton Lace behind the frames just to break up the background. 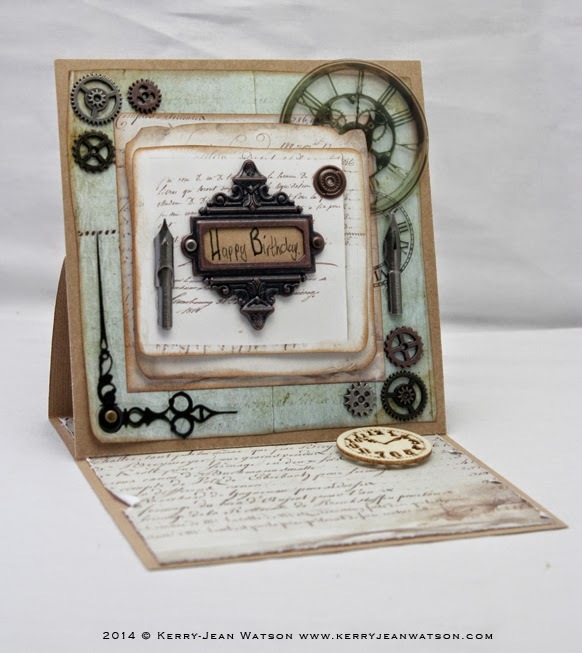 A masculine card from the "Correspondence" collection, using some Tim Holtz metal embellishments. 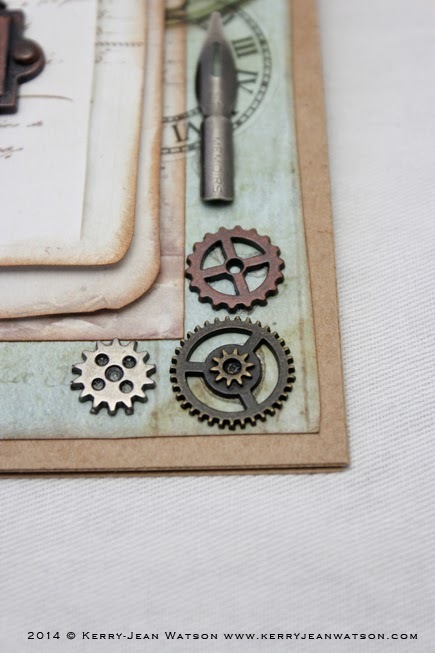 Firstly the Mini Gears, there are a couple Pen Nibs and the Ornate Plates. I love using the transparency clock faces from Old World Time Transparency. 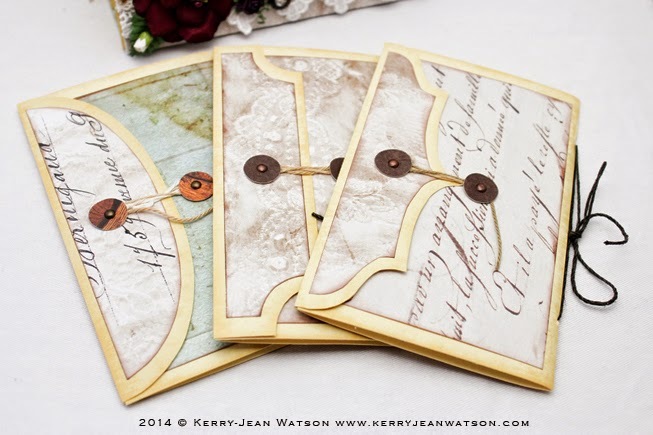 I love using the new collection "Correspondence" for cards. 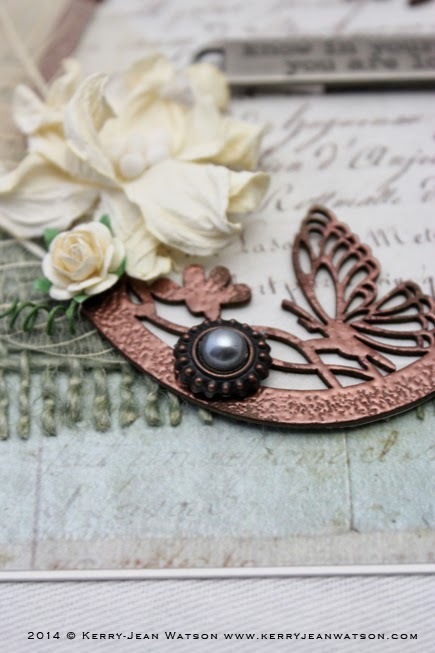 Especially with the Butterfly Oval Laser cut frames which I coated in bronze embossing powder and the ever so pretty Gardenia flowers and paper Roses. The leaves are those delicate skeletal leaves which are quite stunning with these papers. 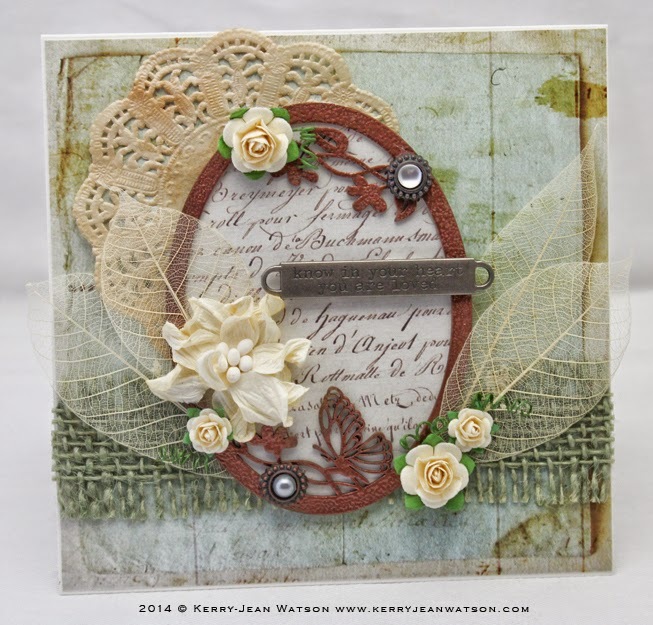 I wanted to use the Sage Burlap ribbon to just break up the background and to add some more texture to the card. 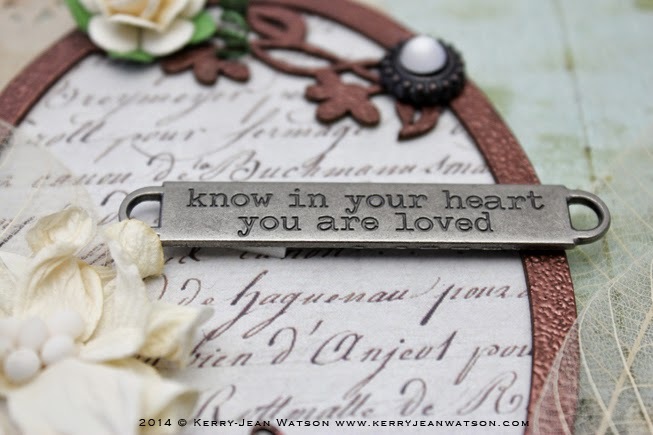 I just love those Tim Holtz Word Bands which fitted really well. 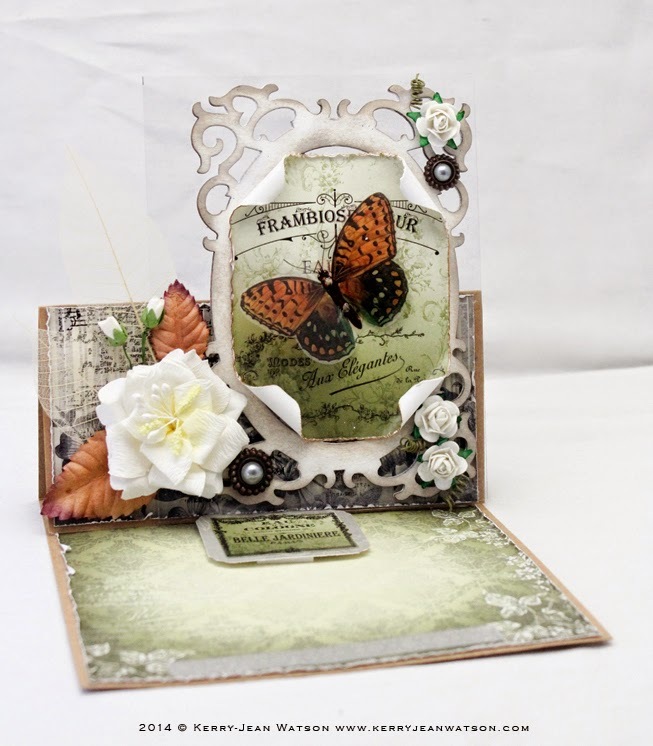 I was going to add some butterflies however I went with the White and Grey Pearl Vintage Brads. 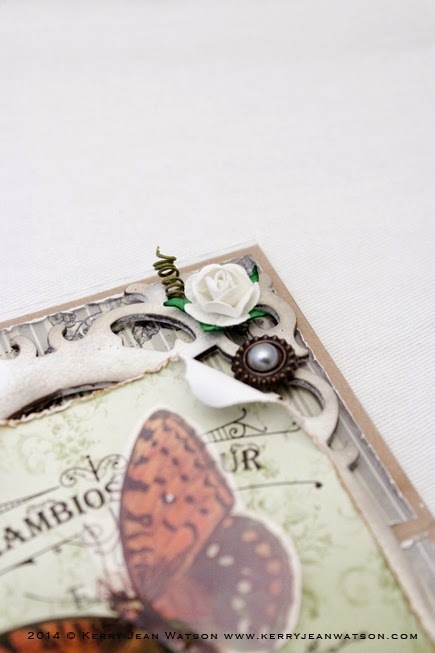 The paper doilly is one of my own however there are some wonderful ones over on the Meg's Garden Store.